ERGO, WE NEED NATURE TO GET HALF. Half of what? The planet. That’s the essence of E.O. Wilson’s latest – and greatest – project. Why does nature need half the planet? To maintain a highly functional system of plants, animals, and their habitats. And we need such a functional ecosystem to support our own species. Nature is our habitat. No nature means no economy, no national security, and no international stability. When E.O. Wilson says nature needs half the planet, we better listen, because Wilson is still the planet’s top conservation biologist. A wise elder at a spry 88, he cut his academic teeth on species-area relationships in the 1960’s. To this day, no one makes a more compelling argument for the need to conserve biodiversity, as well as how much we need to conserve. Nature Needs Half follows from Wilson’s recent book, Half-Earth: Our Planet’s Fight for Life. Wilson certainly inspired my efforts to help establish a national wildlife refuge in the Mobile-Tensaw Delta. Wilson, who grew up roaming the delta, was the best thing we had going for us. He had garnered crucial support from local and state officials. Unfortunately, FWS wasn’t transparent with its planning elsewhere in Alabama, and the state suddenly opposed any new refuges. The Mobile-Tensaw project was the baby thrown out with the bathwater. Meanwhile, though, Wilson gave a boost to the steady-state movement. It was August 6, 2009, and we were in Wilson’s Harvard lab with his long-time associate, Neil Patterson. Wilson was carefully studying the CASSE position on economic growth, which describes (among other things) a fundamental conflict between economic growth and biodiversity conservation. His questions were nuanced and we discussed several clauses in detail. When he finally signed the position, it corroborated the conclusions of other world-class conservationists such as Jane Goodall, David Suzuki, Sylvia Earle, and Jean-Michel Cousteau. It was an act of “steady statesmanship” that was crucial to the acceptance of steady state economics in the conservation community. If, on the other hand, Wilson had taken the stance that “there is no conflict between growing the economy and protecting the environment,” it would have crippled our efforts to advance the steady state economy among the Society for Conservation Biology, The Wildlife Society, Ecological Society of America, and other scientific societies, along with the conservation organizations that follow their academic lead. This was a real possibility; Wilson himself had entertained the win-win rhetoric a decade prior to signing the CASSE position. To his credit, he had the integrity – scientific and personal integrity – to formally acknowledge the conflict after studying the issue sufficiently. It’s no surprise, then, that Nature Needs Half is an implicit prescription for a steady state economy. Rather than elucidating the details in prose, I defer to the CASSE logo, which was designed precisely to communicate that nature needs half. Take a look at the graph of GDP overlaying the planet. See where it stops? Exactly where the human economy uses one half of Earth’s resources (or “natural capital”), leaving the other half for nature and its non-human species. The CASSE logo, designed to convey that nature needs half. The CASSE logo is in marked contrast to President Trump’s approach to the environment. Instead of “nature needs half,” Trump says, “We can leave a little bit.” But this is no mere attack on Trump. The fact is that no president has charted a course of steady statesmanship. Only Franklin Roosevelt and Jimmy Carter came close, and only in long-forgotten moments. Obama had steady-state potential but it remained latent throughout his presidency. He knew something was awry with perpetual growth theory, but by 2011 “Obamanomics” had veered onto the slippery slope of win-win rhetoric. The short history of Obama’s stifled steady statesmanship was probably less a failure of Obama and more a failure of the conservation community. Outside of CASSE, few organizations explicitly advocated a steady state economy or even highlighted the conflict between growth and environmental protection. They failed to provide the political cover Obama needed to raise public awareness of the trade-off. Obama’s appointees and professionals in the civil service were even less helpful. Instead of helping him develop a cogent message on economic sustainability, they actively suppressed any talk of limits to growth. I should know, having fought gag orders throughout my time at FWS headquarters. Frankly it came as no surprise that the political appointees and high-level bureaucrats were the opposite of helpful to Obama. Many of them were retreads or recycled from earlier Clinton administrations and networks. The Clintons spent decades proclaiming that “there is no conflict between growing the economy and protecting the environment,” cynically bastardizing language from the 1987 Brundtland Commission Report for the sake political convenience. The fact is, if Hillary had become president, steady statesmanship would have taken a disastrous step back. Political appointees and ladder-climbing bureaucrats would have curried favor left and right with the win-win rhetoric, and conservation organizations would have sold their souls for political and fiscal favor. Even the scientific, professional societies wouldn’t have been entirely above the fray. With Hillary in the White House, economic growth would have remained the top domestic policy goal. Instead of getting half, nature would be steadily eroding. Few would notice, though. The Green Koolaid Choir would be strumming Kumbaya, and visions of win-win would be dancing in peoples’ heads. ERGO, THE ECONOMY NEEDS TWICE THE STEADY STATESMANSHIP. this is a 7 system model that includes nature. if the political economy was implemented as a steady state economy, there would be 5 direct impacts (the production, population, domestic economy, behavioral symbolic systems and mental symbolic systems). each one of these subsystems will ‘resist’ change. harris also provides a model of cultural change at the individual level that uses 4 simple criteria. if we believe that politics is the only dimension required to achieve a cultural change like moving to a steady state economy, we are sadly mistaken (except perhaps for a totalitarian system of state capitalism like china). This not a problem only for the Conservation Community but for all humankind, especially scientists and engineers, who are indepensible for the “perpetual growth economy”. This is a complicated problem as I tried to indicate in an article of mine, “Predation, Gender and Our Anthropological Oxymoron”, published in the online journal, Eruditio, Vol. 2, Issue 3,(April-May) 2017. I was also a colleague of Barry Commoner’s for many years at Washington University in St. Louis, so that I understand the many problems he (we) faced, especially in the academic community itself. We confront a probem not unlike Sisphus; hopefully we will succeed in bringing awareness before Nature takes all rather than the half we are requesting. Please face up to reality. What nature needs and what nature gets are two entirely different things. 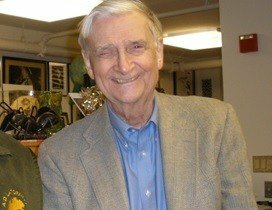 What E. O. Wilson suggests is necessary may be true, but it isn’t remotely possible without reducing the present level of population by at least half first. And that really means we need a global one child agreement ASAP. Please look at the graphic based on 2012 GFN data on page 75. Even assuming we could strip out our huge carbon footprint (e.g. by giving up fossil fuels completely in the next few years. LOL!) if you look at the gap between the total biocapacity and the sum total of all the other human footprints, you will see that we were not leaving more than about 33 % for nature back in 2012. It is now 2018, and this gap reduces every year, because both the population, and the per capita consumption of biocapacity by it, are still increasing. We have already pushed biocapacity increases to technological limits; and soil erosion, nutrient depletion and water scarcity continue to increase. Above everything else, it is also abundantly clear that nobody on the planet wants to reduce their consumption, and that not enough of us will ever willingly do so. So, how else can we possibly hope to leave half the planet to nature? We have a population of 7.6 billion still growing by over 80 million a year, developing countries trying to catch up with the consumption of the richer countries, and with all of them still wanting to consume even more! Clearly the only practical choice we have left is population reduction to balance the I=PAT equation – i.e. If A keeps going up, P must come down. But, because the impact I is already 1.7 times too big now, and still growing, rapid population reduction is the only practical solution open to us. Even an immediate long term “stop at two” being obeyed isn’t enough. Because of the growth momentum the population would still peak at nearly 10 billion and take at least two centuries to get the population back down to where we are now. So, much as I appreciate CASSE’s efforts, to be of any use right now all would- be “Steady Statesmen” need to be calling for a “One child” limit. “One Child” can still save the world, but only if we act quickly enough.